This post remineded me of this old Core77 post from June 2011. It gives a good summary of how to go about visual note taking. 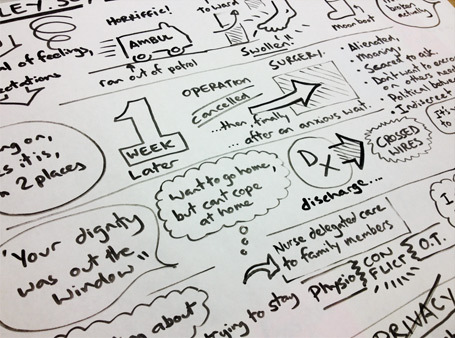 I’m a big fan of Sketching to TED talks – I am fascinated with the idea of showing the subject the drawing afterwards – I had tried something similar but it was with a big whiteboard – kind of like a Capgemini graphical scribe would. In my experience it helps to have a tool kit of silhouette/shapes that can be used as story telling devices.